Jennifer Lawrence. I know, I know. You’ve already read so much about her, and really if any year was her year, wouldn’t it be 2013? Of course it was. But I have news for you, she has just gone back to back after a brilliant 2014 too. Sure she was only nominated for an Oscar this year, and only won a Best Supporting Actress Golden Globe. ** But she also became the highest grossing female action hero of all time. She also broke the internet for real (as opposed to the forced and unsuccessful rubbish of that Kardashian shoot) when the fappening happened. She looked better in her selfies than some other (previously mentioned) celebrities did in their highly stylized advertorials/photo shoots, which caused people the world over to lose their minds. But the way she responded to that is what really gets her this award. She has long been a fantastic role model and these leaked photos do not change that at all. Can you imagine any other person being able to pull that off? I can’t. Here’s to J-Law going for a three-peat and having a fantastic 2015 too. Honourable Mentions: I am just using this as an apology to Victoria Azarenka. Clearly the pressure of being the 2013 winner of this column’s Best Female Tennis Performance was too much for her to bear! She had her worst year since 2010! Hope to see you on the comeback trail in 2015! It has been a while since coaching in the NRL was considered a safe job, but it seems to be getting even worse for anyone crazy enough to back themselves at this level. Of the 16 coaches that walked into off season training with their clubs a the end of last year, only 9 of them will still be at the helm for Round 1 in 2015. Only 6 of those coaches were in their job at the start of 2013. In fact Craig Bellamy at Melbourne is the only person to have coached his team since at least 2011. Where it has gotten even worse is that once upon a time, for a coach to be fired, a team would want to have another coach lined up to take the job. A coach with strong credentials, a proven track record if possible, maybe even a ‘name’ that could be sold to the fans. Now it doesn’t even seem to be a consideration. The Assistant coach is given the job on an interim basis and the club just shrugs and says “We’ll see what this bloke can do”. In many cases that same interim coach can fail to generate any real results and be handed a multi-year contract! *** There are so many NRL clubs that just do not look to be a chance of winning a title in the next 3 years. Too many clubs have no plan. So when that no-plan brings them no success, the axe keeps falling on the coach. Honourable Mention: Leeds United Manager. Talk about clubs with no plan. Neil Redfearn is their 5th manager of 2014. FIFTH! Additionally, he is their 9th manager since 2012. Ridiculous. I, like many others, was extremely skeptical when I read that they were making a Fargo TV series. I, like many others, thought that it was a mistake to try and re-create anything about the quirky Coen Brothers film. I, like many others, thought that even if the script was good and it was well made, calling it Fargo put too much pressure on the show. I am happy to report that I, like many others, was completely wrong. 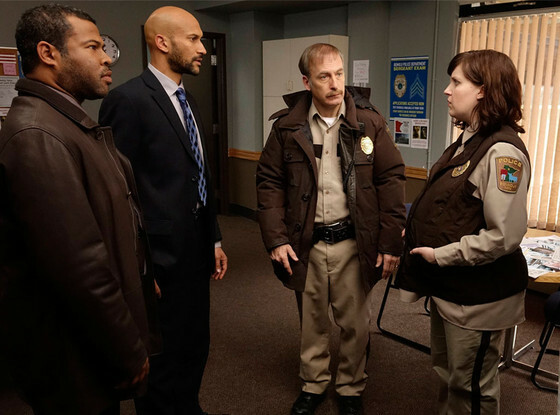 Noah Hawley’s rendition of 2006 Minnesota shares a similar tone, a sociopathic murderer and mountains of snow with the original Fargo, and that is where the comparisons should end. Where Nic Pizzolatto’s True Detective turned out to be all style and show with no substance, Hawley didn’t have to fool us into thinking the Emporer was wearing new clothes. The direction of the series was superb. The characters that inhabited this world were both eccentric and startlingly grounded. The story itself was compelling, realistic (given the premise) and was actually able to tie up loose ends. For all of the plaudits that McConaughey got for his performance on TD, the acting in Fargo was second to nothing on the small screen this year. Billy Bob Thornton came back from the acting dead in a performance that felt so natural, I would almost guess that the role was written for him. Martin Freeman has come a long way since The Office and even the smaller acting roles (Bob Odenkirk, Adam Goldberg, the always fantastic Stephen Root) were top notch. But the biggest plaudits should be reserved for the powerhouse performance delivered by Allison Tolman. It was the breakout TV performance of the year, and it wasn’t even close. Time will tell if this was just the perfect role or not but I will be WILDLY disappointed not to see her career deservedly flourish from here. Honourable Mentions: Cosmos – A Spacetime Odyssey may not have technically been a “new” TV show being that it was a remake of an old series, but it was outstanding television. Visually stunning, compelling, and educational and the world could do with more of it. Also, Silicon Valley and Broad City were both powerhouse new comedies for this year in completely different ways, and I loved both of them. It is so rare for comedies to hit their stride right from the beginning, but both of these managed to and anything that gets Kumail Nanjiani and Hannibal Buress on TV will always make me happy. Aussie Basketball Potential v Boomer Reality wins this one. Ever since Shane Heal stood up to Charles Barkley in a 1996 friendly, Australia has fancied itself on the world stage of basketball. There have been many lean years since that 96 team played off for a Bronze medal in Atlanta, but as the years go by and more and more players begin to get meaningful minutes in the NBA and College basketball systems, the hopes of the nation rise again. We’ve never had a full starting line-up of NBA players but as the last NBA season wound down, we were as close as we had ever been with a starting line-up that could boast 4 NBA players. Of course as we moved closer to the Basketball World Cup, the same thing happened that always happens. Our star Centre and defensive lynchpin, Andrew Bogut pulled out. Then our star scorer and freshly crowned NBA champion, Patty Mills pulled out. Then we tanked a game to avoid playing the US until the Semi Finals, and lost to Turkey anyway. Boomer Reality beats down The Potential and continues its winning streak. But as ever, there is hope for the future. The 2016 Olympics hold an opportunity for the greatest ever assembled Boomers team to really have a run at a medal. A starting five of Bogut, Aron Baynes, Joe Ingles, Mills and Matthew Delavadova has solid NBA experience. 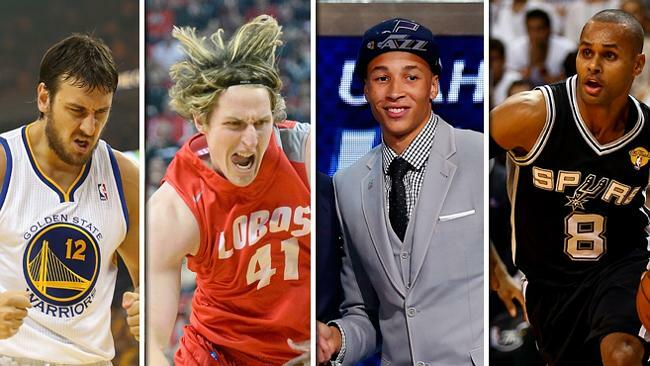 Fellow NBA player Dante Exum will have developed into the type of player that could lead a second unit off the bench. A bench which could contain Chicago Bulls PF Cameron Bairstow, Zaragosa guard Chris Goulding as well as two of the top NBA Prospects over the next couple of years in Ben Simmons and Thon Maker (who are currently only 18 and 17 respectively) if they are even good enough to make the squad (something that wouldn’t even be up for question just a few years ago). It is the Boomers’ time. At least until reality kicks in anyway. Wanderers vs attractive football – The run to win the Asian Champions League made Greece in 2004 look like Spain in 2010. Wanderers players vs owners – for it to all come to a head right before the World Club Challenge was embarrassing for all. Wanderers vs Al Spitty – Rivalries, both at home and continentally, are what makes football clubs. The Wanderers are now on their way to moving from a franchise to a club. Good for them. This comes with the usual disclaimer that I almost never get to hear music the year that it comes out, and that my musical taste is far from ordinary etc etc. But for 2014 nothing really blew me away. The 2014 Football World Cup set records for goals scored and the whole group stage of the tournament was absolutely riveting. Spain getting demolished in their opening match and never recovering? Fantastic. Italy and England BOTH not getting out of the same group? Magnificent. Cristiano Ronaldo sulking his way to another early exit? Outstanding. Costa Rica being a Penalty save away from making the final four? Superb. Germany absolutely humiliating the host nation in the semifinal after Brazil had so many calls go their way earlier in the tournament? Delicious. But those few minutes that the Socceroos led the white hot Netherlands in a World Cup match? Absolutely glorious. We may not have got a point in the tournament, but we’ll always have that Timmy Cahill goal and that feeling inside of us that we were better than Pim Verbeek or Holger Osiek allowed us to be. That felt good. Honourable Mention: The recent Martin Place tragedy seems to have brought out the best in more people than a misanthrope such as myself expected. The #illridewithyou campaign was good, but what was great is that it appears as though it wasn’t really needed! The NFL is a multi-billion dollar enterprise that is run by very successful and intelligent businessmen (basically the 32 owners). So, how they could allow Roger Goodall, as commissioner of the league, to just be SO FAR off on the issues that have come through his office this year is really beyond me. The issue of domestic violence in the NFL may not be any higher than it is in society, but the handling of the Ray Rice situation (among others) was simply baffling. The brutal video that came out and FORCED the NFL to change the punishment was an embarrassment to the league. It is difficult to tell what is worse – that they almost certainly knew about the video and hoped it would go away, or that they didn’t take the issue seriously enough to track down that video. In one of the great turn-arounds of the 21st century, the NRL Grand Final went from last year’s worst thing of the year to this year’s best. Is this wildly biased because I have waited my entire life for South Sydney to win the competition? Sure. Is this a list of MY favourite things of 2014? Definitely. The Bunnies are the most successful team in the history of the competition. So successful in fact that they have kept that mantle in spite of going 43 years between Grand Final wins. But besides all of that, the NRL Grand Final was a winner this year because for the first time in a few years, a likeable team won the competition. Credit should also go to the Bulldogs fans who, in spite of their poor reputation, were exemplary on the night and a credit to their club. I sat right behind them and didn’t hear or see a single negative thing from them all night. Gracious in defeat and friendly all day. 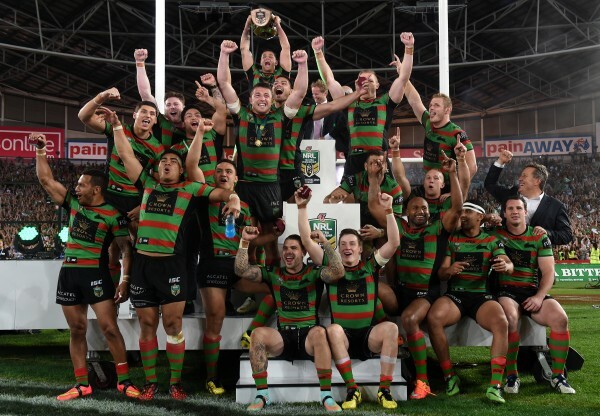 Penrith weren’t able to knock over the Bulldogs to give us our first Grand Final since 2005 where BOTH teams were likeable, but the Rabbitohs ensured the right result was had, and the streets of Redfern became the party of the year. Let me know what your favourite things of 2014 were. What did I miss? ^As we entered this new Millenium, Chris Rock was the reigning Heavyweight Champion of the World in Stand-Up comedy. I simply will not enter into any debate that he wasn’t. To be the Heavyweight Champion of the World in stand up, you have to be both the biggest and the best. Being good isn’t good enough. You also have to be big. But being big isn’t big enough. You also have to be good. Examples here are numerous. People like Dave Attell, Colin Quinn, Patrice O’Neal or Jim Norton are some of the funniest people to ever have lived, but without that next level of success in terms of being big, they can’t be the Heavyweight Title holders. But by the same token, Jeff Dunham may sell as many tickets as anyone on the planet, but when the comedy is lazy, safe, lowest-common-denominator stuff, then that also doesn’t get you the belt. With that in mind, by my reckoning, since 2000 the belt has gone at various times and for various amounts of time to the following people – Dave Chappelle, Dane Cook, Patton Oswalt, Zach Galifianakis, Russell Peters, Kevin Hart, Louis CK and Bill Burr. I think Hannibal has the talent to reach this level in the next few years.